J210 is simplicity in style. It has everything a good phone should have including 32-voice polyphonic ringtones and a dedicated ringtone speaker for an impressive sound. A great color screen needs great pictures. Inside J210, you have a gallery of color pictures which you can use as onscreen wallpapers and add to colorful picture messages. It's fun and it's easy. When you need to be reminded of a special event, a friend�s birthday or anniversary, J200 will remind you. And when you have time over, challenge a J210 mobile game. 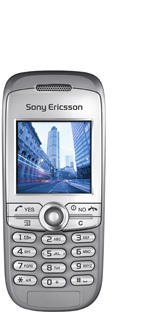 Coolnewmobile - Offering the latest Contract Phones including the Sony Ericsson J210i at the most competative prices around. We offer fantastic mobile internet phones all with FREE text messaging*, If you want an O2 mobile phone why not buy it now from O2. They also have some good deals on the Sony Ericsson J210i.